WHEN are the lads from Al-Qaeda not such a bad lot, after all? When they are having a crack at the Middle East’s last remaining secular government, it seems. That’s right, Al Qaeda – the mob who flew into the west’s consciousness by aiming planes at New York’s World Trade Centre and the Pentagon, before returning to their core business of brutalising populations across the Middle East – are getting a makeover. Apparently, if you read the western press, the boys in the beards are not Public Enemy Numero Uno any more. Instead, the west is fixated on its latest offshoot, ISIS or DAESH and, particularly, the US-backed campaign to drive it out of Iraq. To be fair, DAESH has brought a new level of sectarian terror to Iraq and neighbouring Syria, using mass murder, sexual slavery and torture to brutalise a range of ethnic and religious communities. Nobody should ever forget the horrific images of caged Yazidi women being transported to terrorist meat markets on the backs of pick-up trucks. But nor should it be forgotten that ISIS/DAESH, Al Qaeda and Jabhat al Nusra were created by the same men, exclusively, for the same terrifying purpose. Because, over the border in Syria, Al Qaeda still lives, as barbarous and sectarian as ever it was. The organisation, originally funded and armed by the CIA in its effort to drive the Soviets out of Afghanistan, is, effectively, the dominant rebel force trying to wrest control of Aleppo from the Syrian Government. For five years now, its fighters, organised under the Jabhat al-Nusra banner, have held the western sector of what was once Syria’s largest city with more than two million people. That number has halved since the terrorists arrived, with between 220,000 and 250,000 of them stuck, or in some instances, electing to remain in the rebel-held sector. In May of this year, Charles Lister a fellow at the Middle East Institute in Washington and an authority on Syrian jihadism, described Al Nusra’s war against the government in Damascus as one of two remaining jewels in Al Qaeda’s crown. He identified the other as the operations of its murderous Yemeni arm – Al Qaeda in the Arabian Peninsula. So, why has Al Qaeda’s Syrian franchise managed to virtually disappear from the broader western narrative? While the Obama regime has been financing and training anti-Syrian rebels, it has also been holding out against increasing pressure to go the full George Bush by, in the first instance, supplying heavy armaments and imposing no-fly zones. These initiatives are being driven by hawks in the US foreign policy establishment acting in concert with long-standing regional allies Saudi Arabia, Qatar and Turkey – Jabhat al-Nusra’s three principal sponsors. It is being reported in the US that their aggressive position is supported by the CIA and former Secretary of State Hillary Clinton. 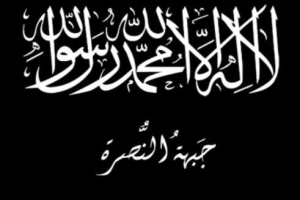 As the push for direct US military action against Syria has grown, advisers and international supporters have been urging Jabhat al-Nusra to play down its real identity and ambition. This campaign was not helped when Al Nusra chief, Mohammad al-Golani chose his first live interview with Al Jazeera to publicly reaffirm his organisation’s commitment to Al Qaeda and its leaders. Conveniently, their way was cleared by Al Qaeda boss of bosses, Ayman al-Zawahiri himself. In July, al-Zawahiri released an audio statement giving Al Nusra formal permission to announce a split. Hours later, al-Golani thanked “our brothers, the commanders of Al-Qaeda” and announced his organisation was changing its name from Jabhat al-Nusra (the Victory Front) to Jabhat Fateh al-Sham (the Levantine Conquest Front). The group, however, reaffirmed its goal of turning Syria into an Islamic state. That’s alright then – appears to have been the general response from the mainstream media in the US and Australia. From that day, the fact that the battle against Aleppo and the overwhelming majority of its citizens, was being led by Al-Qaeda hard-heads appears to have been largely over-looked. This was reinforced when last month’s ceasefire, hammered out between Russia and the US, fell at the first hurdle after the US’s “moderate” rebels refused, point-blank, to sever ties with their Al Qaeda/Al Nusra/Al Sham buddies. It is constantly overlooked when the mass media present news stories, and background pieces, from Aleppo. This entry was posted in Article, syria news, syria now, syrian civil war, syrian rebels, Uncategorized and tagged Al Qaeda, Al Queada, al-Nusra, Aleppo, CIA, DAMASCUS, Iraq, ISIS, Jabhat al-Nusra, Mosul, Nusra Front, syria, Syrian Government, US. Bookmark the permalink.